​I invite you to join your church family as we gather in worship this Sunday, April 28. Jesus shows up amidst disciples who are hiding in fear. And we all know that when Jesus shows up, things don't remain quiet for long. We'll read about Jesus somehow getting through locked doors to be with his frightened disciples. Our focus, however, will be elsewhere. Our attention will be on Revelation 1:4-8. John is on the Island of Patmos. He's been exiled and is imprisoned there. At the same time, he seems convinced he's somewhere else, too. Almost like he's two places at once. Have you ever felt that way? I'm guessing you have. Regardless, John's perspective might be enlightening for us. Our Band will lead us in a couple terrific songs and our Choir will sing yet another beautiful anthem for us. I hope to see you here this Sunday morning. Thank you for wanting learn more about this faith community. We are an energetic and progressive congregation in Detroit Lakes, Minnesota. 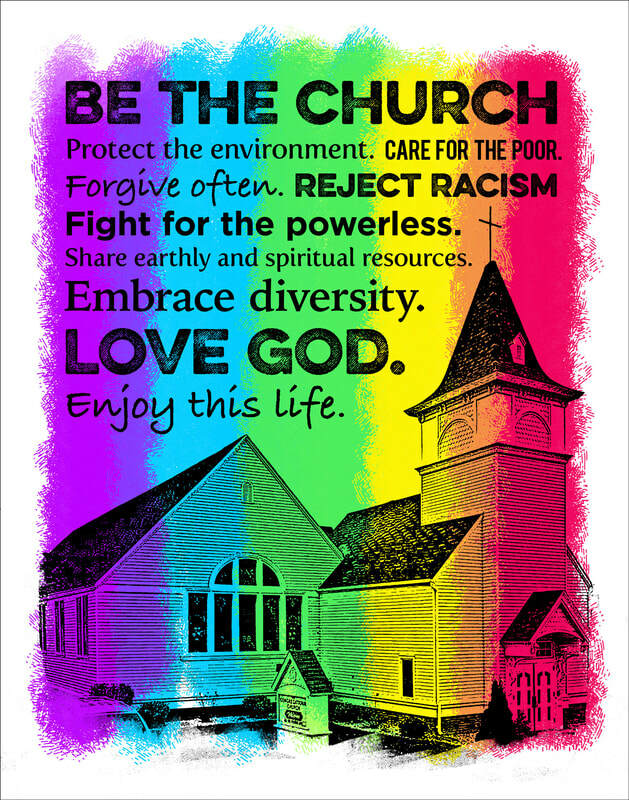 We are an Open and Affirming, Creation Justice congregation, and a fully accessible church. We strive to show our love for God by loving and accepting everyone. We believe that all are created in God's image. We believe that we are called to follow Jesus in loving, affirming, worshiping, teaching, forgiving and serving.